This contemporary 2/2.5 sixth floor unit is located in 200 East, downtown Boca Raton's premier luxury condominium. 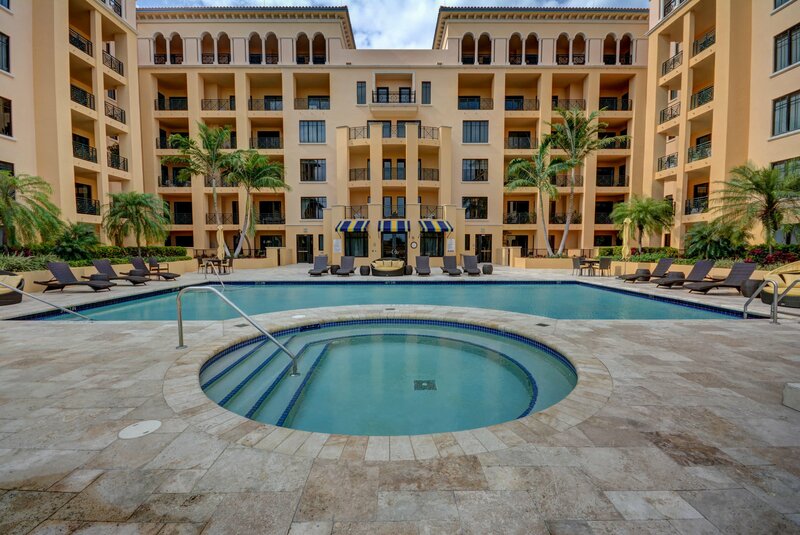 A RARE FIND... one of only 2 Del Sol floor plans in the entire building, with a spacious open floor plan and south-easterly views overlooking a quiet resort-style pool and the Boca Resort links golf course. This spectacular condo was a developer model professionally designed by Steven G Interiors. Hardly lived in, this residence has it all...split bedroom floor plan with stunning views and natural light in every room, brand new modern kitchen with Miele, Thermador, Subzero and Bosch appliances including built-in Nespresso system. Oversized covered balcony off the great room, ideal for entertaining and sunbathing. Outstanding finishes throughout, including marble and Brazilian hardwood flooring, custom-built closets, cabinetry and wall coverings, and oversized master bath with soaking tub. This residence has two dedicated parking spaces and oversized climate-controlled storage room. Experience the luxury of a full service building with 24/7 security and front desk concierge, valet parking with porte-cochere, elevated 4th floor resort-style heated salt water pool and spa, outstanding entertainment/meeting space, and state-of-the-art fitness facility. Highly sought after downtown living, just minutes from the beach, Mizner Park, Royal Palm Plaza and east Boca's premier restaurants, shopping, spas, and the renowned five-star Boca Raton Resort & Club offering world class golf, tennis, and entertainment.